This pronouncement by the Ra group is derived from the Infinity/Unity dynamic with its yang/yin nature of outward expression to radiate and create and inward expression to absorb and experience. This dynamic is a duality of two co-equal and complementary principles. This confirms the pronouncement that Creation and Experience are of equal precedence and importance and thus the Creator and Experiencer coexist as the One Infinite Creator/Experiencer. For the purpose of this article the Creator/Experiencer can now represent a metaphysics of creation and a metapsychology of experience. Metaphysics and metapsychology are actually related and interchangeable. So let’s simplify and ask what is the metapsychology of the One Infinite Creator/Experiencer? What are the underlying principles that define the psychology of an Infinite and Unit being of Creation and Experience? Our clue comes from the dynamic of Infinite and Unit beingness which is respectively a bipolarity of outward yang and inward yin, and relates to intention and motivation. The universal yang/yin dynamic is a Dialectical Monism which creates interactive duality, bipolarity and/or complementarity within a unity. Many pluralities emerge from this initial bipolarity. The claim that bipolarity relates to intention and motivation is based on another quote by the Ra group. Let’s interpret this quote in terms of our just mentioned clue. The primal intention to be and become manifests as the Infinity/Unity dynamic which is the initial bipolarity of the Creator/Experiencer. This Infinity/Unity dynamic motivates a yang/yin of outward/inward action and its many bipolar derivatives such as the ethical dynamic of service to other (STO) and service to self (STS). The intention to be and become via the Infinity/Unity dynamic then determines a variation or diversification from bipolarity to tripolarity, and to tetrapolarity, and to every and all multiple polarities. Examples of systems of multiple polarity are the 7-fold energy center system, the 8-fold octave density system and the 12-fold sun-planet astrology system. So we now have a foundation of metapsychology principles to work with. Such principles provide derivative principles such as ethical polarity and orientation or sexual polarity and orientation, or to a number of other psychological polarities and orientations that derive from the Creator/Experiencer dynamic. An interactive duality or complement thus exists in terms of metapsychology. Such a duality provides creativity and experience to feed beingness. Pure psychological order relates to well-founded, well-intentioned, well-ordered motivation. Pure psychological disorder relates to ill-founded, ill-intentioned, ill-ordered motivation. What psychological disorders are most common to Wanderers? How does ethical polarity and orientation effect such psychological conditions? We can now touch on the topic of metapsychology by taking a look at the principles underlying the Psychological Disorders of Wanderers. These quotes by the Ra group points out both the karmic and psychological issues experienced by Wanderers. The karmic issues are caused by distorted actions and experiences from previous Earth lives, or perhaps from other-worldly lives, that need immediate attention in this life. The psychological issues have both karmic and inter-density causes leading to inborn physical and mental handicaps, or personal integration difficulties, or the “stranger in a strange land” syndrome. We will revisit part I of the Ra group’s quote as it applies to the Psychological Disorders of Wanderers. 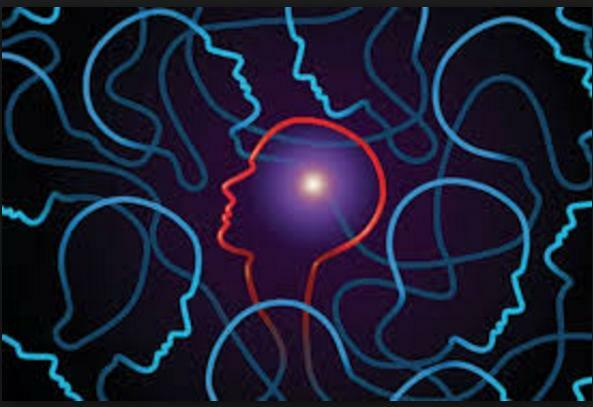 Such disorders will be described in terms of common clinical psychology concepts and of concepts pertaining to ethical polarity and orientation which, in turn, reflect personal intentions and motives. But let’s further analyze this statement. 1. There is an extreme variance between the physical and psychological compositions of beings in 3rd density and of beings in 4th, 5th and 6th density. 2. This extreme variance results in a Wanderer from these higher densities to have difficulty being embedded and integrated into a 3rd density mind/body system and environment. 3. This dificult integration that the Wanderer experiences results in physical and psychological issues such as handicaps, internal and external difficulties, and severe feelings of alienation. 4. The greater the variance between densities the greater the physical and psychological issues. 5. A 4th density Wanderer should feel the least variance and have less difficulty integrating into 3rd density while a 5th or 6th density Wanderer should feel greater variance and have greater difficulty. So by this statement, a 4th density Wanderer would feel the least variance while the 6th density Wanderer would feel the most variance. So why is the number of 4th density Wanderers not the largest, followed by a smaller number of 5th density Wanderers and by an ever smaller number of 6th density Wanderers? The less distorted or varianced 4th density Wanderers would have the least difficulty in 3rd density and therefore could be more focused towards helping 3rd density beings evolve. One possible reason for the scarcity of 4th density Wanderers is that they are needed in other roles of the so-called Earth Mission. Such roles are the inner plane battles taking place against predominantly 4th density Orion soldiers and the spill over into 3rd density dramas taking place. There may also be the need for planetary monitoring and maintenance of human populations having to do with future re-assignment and migration of 3rd density beings. And finally a need for monitoring and maintenance of the emergent 4th density energy structures of 4D Terra. Assuming this is the case let’s still consider a comparison of the effectiveness of Wanderers using the following analogy. High school students (3rd density) who are striving to graduate (to 4th density) can best be mentored by undergraduate college students (4th density) than by graduate college students (5th density) or by college professors (6th density) who are usually unrelatable and out of touch. The possible exception is when 5th density and 6th density Wanderers are becoming assimilated and gaining experience through several meaningful and challenging life cycles on 3rd density Earth. Even with this experience there is difficulty and so there must be other reasons and motives for 5th density and 6th density Wanderers to choose to be here. One top motive is to use 3rd density experiences for their own personal evolution. They set up personal goals and personal lessons in a way analogous to taking on a heavy course load during a one semester of school. I can relate to this and I get the feeling that many Wanderers had a case of “irrational exuberance” and were over-enthused in terms of motives and goals. And then there are other Wanderers whose exuberance clouded their judgement which led to unclear motives and poor decisions based on these motives. So to summarize, over-exuberant or unclear goals and motives and poor and hasty decisions end up backfiring and wreaking havoc at the karmic and psychological level for an incarnate Wanderer. To add to that, the pre-incarnational programming inevitably had some glitches and bugs, some irregular life code that doesn’t compute. This is part of the risk. And to further summarize, many Wanderers are just not ready to be here and when they get here they’re not willing or able to adapt to unexpected contingencies. At perhaps some level of awareness some may believe they made a mistake to incarnate and regret their decision. This especially relates to the less experienced Wanderers and those with extreme distortion and variance and with difficulties assimilating. Given this situation, let’s now revisit the ethical and psychological factors that lead to the most common psychological disorders experienced by Wanderers. The ethical factors involved are based on the bipolarity principle of opposite ethical states of being, and additionally, a neutral, indifferent ethical state of being. The abbreviations of these states will be used in the discussion of psychological disorders and are outlined here. The ethical dynamics occurring at a well or ill intentioned emotional level of both 2nd density animals and of 3rd density humans involves a love/hate dynamic and are the following. The ethical dynamics occurring at a higher emotional and judgemental level relate to 3rd density humans who are striving towards positive or negative 4th density and this also involves a love/hate dynamic of a more conscious type. One is aware of the evolutionary and forward-thinking function of helping or serving. In general, STS and STO expresses well intentions which gains ethical polarity while DTS and DTO expresses ill intentions which can gain or lose ethical polarity depending on one’s ethical orientation. For example, combinations of predominate + subordinate polarities offer more complex and elaborate expressions to affect one’s ethical orientation. Notice that there are striking differences between these combinations. We can now revisit the question: What psychological disorders are most common to Wanderers? How does ethical polarity and orientation effect such psychological conditions? Let’s explore each disorder with potential causes relating to ethical polarity and orientation. This is the fear of not fitting in or socially adapting under the pressure of becoming a fake facade of oneself or an unnatural, neurotic, insecure self. It’s the well known feeling of “being someone you’re not”. Avoidant Personality which is a hypersensitivity to potential rejection whereby a person is unwilling to enter into relationships that don’t confirm unconditional acceptance. Schizoid Personality which is characterized as the “social misfit” who has a defect in his capacity to form personal relationships. By its name, this is a complex combination of conflicting outward and inward motives that induces anger and pathological feelings of superiority towards others. This term complex in psychoanalysis also means “a combination of emotions and impulses that have been rejected from awareness but still influences a person’s behavior”. What underlies these emotions and impulses are the ethical intentions and motives described above. In the case of the positive Wanderer this complex of repressed anger and conflict results in a self-absorbed bullying nature or ego-mania caused by frustration to express one’s true and sincere goals of CCO and STO. The effort to reach out to others is stifled by an apathetic and repressive culture which exacerbates the frustration. The positive Wanderer then creates a distorted rationalization to feel justified to vent his frustration using this defensive mechanism of superiority against who he perceives as less developed entities. This feeling of superiority can become an extreme distortion to CCS and STS whereby he begins to enjoy DCO and DTO. This can lead to a repolarization of this Wanderer’s ethical orientation. He has consciously switched to an STS orientation. Now in less extreme cases the positive Wanderer shifts to an apathetic NCO or NTO while maintaining CCS and STS. He becomes cynical and self-absorbed while quietly feeling superior towards others. Antisocial Personality manifests when one becomes impulsive and impatient to the extent of being hostile and aggressive with criminal intent and which in extreme cases can result in Sociopathic Personality. This was described above as the positive Wanderer’s STO frustration leading to DTO anger and a potential swing towards an anger-fueled STS focus of self-power. Narcissistic Personality is caused by the unconscious fear of having no value, importance, or worth — so there is a need to project a grandiose sense of self via entitlement or exploitation of others. There is a lack of empathy expressed as NCO or DCO due to nebulous feelings of both DCS and the fear of DCS. How can one feel for others if one can not feel good about oneself? This nebulous and confused feeling then induces a distorted and superficial STS defense mechanism which can be used to gain negative STS polarity as the Narcissist explores deeper feelings and actions of DTO. Manic Personality is expressed generally as personal excessiveness and grandiose delusions. This can occur in positive or negative Wanderers as a misperceived “true calling” which can result in a distorted projection as being God or some powerful or famous historical figure. In the case of a positive Wanderer, he projects an extremely distorted STO with a lack of healthy CCS and STS in order to be stable and grounded. The extreme Manic highs leads to inevitable lows and violent mood swings resulting in a Bipolar Personality. The low swings can be experienced as “crashing to the ground” or a “crash and burn” which is an obviously dangerous and unhealthy form of grounding and facing one’s reality. This low phase is an extreme self-injected or introverted state which is experienced as a confused and distorted STS with a lack of a healthy CCO and STO to relate to others effectively. Bipolar Personality seems to be a common disorder among Wanderers and probably for both positive and negative. It may also afflict the aspiring young 3rd density being who is striving to reach 51% STO or 95% STS on a consistent basis. The commonly known Martyr is defined as one who suffers and dies for the sake of a cause or a principle. As a psychological complex this becomes a distorted combination of emotions and impulses leading to the intention and desire to suffer and perhaps die for a nebulous cause or principle with little or no regard for self. A confused and distorted Martyr has low self value to the extent of being everyone’s doormat. For the positive Wanderer who is either early 4th density or who is 5th or 6th density and has regressed to that earlier state of being, they may need to re-experience this Martyrdom for personal karmic reasons. The cause or principle may be the need to purify and purge of one’s actual inner demons, so to speak. Or there may be a karmically-connected external cause or principle that requires the Wanderer to practice Martyrdom. However in other contexts this may not be the case and the positive Wanderer is caught in a web of personal distortion which results in acts of extreme DCS and DTS which feels like STO. They practice self- sacrifice and self-denial in serving for just the sake of serving to relieve feelings of guilt or unworthiness.The self-denial relates to having very little inner focus and sense of self except for a muted self that desires only that “I am you” without the necessary balance of “You are me”. So again to emphasize, there may some karmic redemption taking place by this Martyr Phase which may be necessary to work through a Victimizer/Victim dynamic and its feelings of guilt. So therefore extreme DCS and DTS via a distorted STO feels like a valid STO experience. Perhaps on some level the intention and motivation is STO. Hero Complex which may be a Manic ego-centered complex of distorted emotions and beliefs which may motivate one to acts of heroic Martyrdom. The egotistic Martyr becomes an oxymoronic and confused being. Borderline Personality results from feeling personal insecurity and fear of being alone. There is the desire to merge with other people but this desire is done out of loneliness or a need for personal security. A person with BP may resort to suicidal or homicidal threats in an attempt to avoid abandonment. So the underlying ethical factors point to a lack of healthy CCS and STS which leads to DTO. Unhealthy or extreme projection with the lack of inner focus and centeredness are expressed via these ethical factors. So the plunge into DCS, DTS and DTO could lead to the act of “murder-suicide” and extreme distortion and loss of polarity. Histrionic Personality results from the lack of warmth and caring in childhood which leads to being overly dependent and demanding of reassurance by another. A person over-reacts to gain attention and shows irrational outbursts and clinging behavior. They also show superficial warmth and caring or NCO and NTO which, being neutral, can polarize either towards STS or STO. Dependent Personality is self-defined and an example is an abused wife who stays with her spouse. She denies herself of needs to provide the needs for the other in order to avoid self-reliance.She has the need to “save the relationship” and so she experiences very little inner focus and CCS except in a projective BP sense. She denies that “You are me” and even “I am me” and only to “I am you” which frees her of any self -dependence. This disorder is the condition of a disintegrated self with no personal boundaries to integrate and appreciate the inner/outer duality of beingness. It resembles a ‘free association’ of interpretations of reality except it directly affects and influences the sensory-motor system. It may be an explorative state of being when self-defined parameters and constraints are applied such as with John Lilly’s flotation tank excursions or a Shamanic Journey, or an LSD or other entheogenic drug trip. This disorder seems over-represented among spiritual seekers. There is the cosmic outward projection that “I am everything” to transcend duality and to “fuse with all” which probably occurs more for 6th density Wanderers than for 4th or 5th density — although late 5th density may feel the yearning of an unbalanced STO Oneness. A Wanderer or spiritual seeker with too much ethical volatility and not enough centering or grounded CCS and STS may experience a disintegration of one’s “incarnate self” with the hope to experience one’s “discarnate self” which risks entering a variety of inner and outer plane realms that become trappings with negative effects. Schizophrenic Personality may be considered a tamer condition to those with full blown Schizophrenia. One has the yearning for transcendence of duality combined with a need to escape reality. This may happen in the case of Wanderers who wish to avoid karmic goals or responsibilities. They may find the lack of ego boundaries is attractive in order to explore the boundless or multidmensional realms. However the downside is that they often experience ethical confusion and a form of ethical slippage or uncertainty which triggers fears of STS and DTO attacks. ADHD Personality can potentially induce neutral schizophrenic states in Wanderers who experience ethical confusion and imbalance that can trigger fear and anger themed hallucinations. The most extreme case is crippling clinical depression that paralyzes personal motivation and has many internal and external causes such as childhood abuse and PTSD. For a positive Wanderer there is the feeling of ineffectiveness on a mixed polarity planet who can not see opportunities to serve. This is one experience that can cause a generalized, yet acute and chronic depression for these Wanderers who feel fulfilled and good about themselves when they can be expressing creative and effective STO work. Depressive Personality occurs when the desire for perfection and high achievement encounters failure and frustration. This leads to a sense of inadequacy, worthlessness and despair. A positive Wanderer may experience internalized self-deprecation and loss of interest or pleasures in activities. The lack of external STO achievement results in internalized DCS and DTS paralysis. This DCS and DTS results in some loss of STO polarity due to resentment and unfocused anger that creates a negative aura of being. Paranoid Personality is when there is a more extreme internalized and repressed depression, resentment and anger that triggers both the DCS/DCO and DTS/DTO dynamics to cause further loss of STO polarity. A positive Wanderer seeks a defense mechanism from this internal deteriation and does so in terms of a jealous and power-seeking STS motivation which provides the outlet for his depressive frustration. This is the afflictive condition of self punishing and self loathing to relieve guilt and unworthiness. It may be a means for karmic redemption in past Victimizer/Victim situations and in other past STS behaviors. This then would apply to positive Wanderers who have the need to address past STS karma and the guilt associated with it. A common and frequent type of Masochism is the punishing of ‘selfish’ thoughts which is usually engendered by religious settings of ‘do not’ statements to enhance the effect of guilt. The Ten Commandments is a prime example and reflects a bipolar and volatile STS/STO dynamic which can trigger a variety of disorders in addition to Masochism. Crucifixion Complex is a religious extremist form of Masochism and directs anger towards self with underlying DCS and DTS but with no intention to gain a STO feeling of comfort as with the Martyr Complex. There is only a spiral of condemnation which it is hoped that a Wanderer can finally resist and seek guidance. Compulsive Personality causes one to not feel useful, constructive or productive and makes one seek perfection. A compulsion to project self-criticism results in being critical of others. A person with this affliction must do every little thing perfectly and done repetitively until done perfectly. He expresses excessive modesty and self-restraint to where there’s no expression of warm emotions. This self-criticism is a milder form of Masochism and has an underlying DCS/DTS dynamic with either STS or STO yearnings. All these disorders are commonly experienced in our society and studied by psychologists and psychiatrists. Therefore they occur to some degree among the whole spectrum of 3rd density but particularly to those who are at the highest stages of 3rd density and who are experiencing an extreme degree of conflicting desires and motivations directed to their need to achieve and commit to either positive or negative 4th density beingness. The pressure to evolve is more intense and focused. To conclude, there is always more to develop and derive from the foundational principles at the beginning of this article. This initial excursion has touched on a good portion of concepts and provides a starting point for further research. I look forward to questions and comments to spark a discussion.